You may be overdue for a new wood fence! Odds are your fence has served you admirably throughout its lifespan, but a time will come when it will no longer be able to do its job to its fullest capacity. There is only so much maintenance you can do to protect your wood fence. The signs are not always obvious though when it is time to replace your wood fence. Look out of these signals that can indicate to you that you are overdue for a new wood fence. 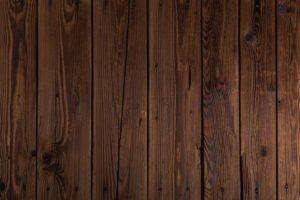 There is only so much you can do to prevent your wood fence from rotting. Rot on a fence is generally located towards the bottom of the fence, closest to the ground where it is most likely to be exposed to moisture. If rot is only on a single post of your fence, there are ways to treat and maintain it. However, if it spreads to multiple posts of your fence, then that is a bigger issue than you will be able to handle. When there is a large, generalized area of rotting on a fence you will need to replace it as soon as you get the chance to. You might notice your wood fence is beginning to lean towards one side instead of standing up straight. This usually means that your fence, has taken a toll from beatings coming from harsh winds, rain, and shifting ground. Leaning is an indication that a fence is losing strength in a certain area. Sure you can replace parts of it if only a small part of it is leaning. But if a large chunk of your fence is leaning, it is losing its strength as a whole, and you will need to replace the entirety of your wooden fence as this damage is not repairable. Another reason why you will need to replace your wooden fence is if the cost of repairs become too high. Oftentimes if there is an issue with your fence, there is some kind of repair you can make but it will always cost you something. Although at a certain point, the costs of repairing your fence will get too high and outweigh the cost of just replacing your fence altogether. When the price of replacing your fence is cheaper than repairing it, the obvious decision is to just replace your fence to save money. No matter what type of fence you have decided on, Hercules Fences has the expertise and equipment to construct your dream fence. Our experienced team can help meet your fencing needs, whether they are residential or commercial, for the right price. We proudly serve Albemarle County, Amelia, Ashland, Augusta, Buckingham, Caroline, Charles City, Charlottesville, Chester County, Chesterfield County, Colonial Heights, Cumberland County Dinwiddle County, Fluvanna County, and Fort Lee, Virginia, VA. Give us a call at 804-752-7992 or visit us online. To see examples of our work and keep in touch, don’t forget to follow us on Facebook, Twitter, Google+,LinkedIn,Flickr, and Pinterest. This entry was posted on Friday, March 22nd, 2019 at 1:33 pm. Both comments and pings are currently closed.